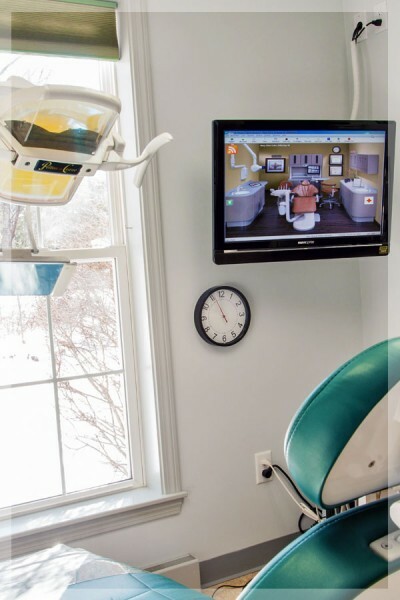 Our goal is to offer you quality dentistry, which will allow you to function at optimal dental health through your lifetime. Your initial visit will be comprised of many different aspects. Before I begin my oral evaluation, I will sit down with you and discuss your dental history, your chief dental complaints, and your expectations of me as your dentist. Next, I will spend some time “getting to know your teeth.” This may include, but not be limited to, a full series of dental radiographs, an oral cancer exam, study models, intra-oral photographs, as well as muscle and periodontal charting. I will then take this information and study it to develop a treatment plan specific to your needs, wants, and temperament. Often with this information, I can tell where you have been dentally, where you are now and where you are headed. Shortly thereafter, I will have you return for a consultation at which time I will discuss your oral condition and treatment plan. Dentistry, as a field of science, continues to improve, which is allowing people to keep their teeth longer and longer. I believe we have the skills, the knowledge, the caring attitude and the drive for excellence that differentiates us from the “usual and customary” practice. I hope you agree. Getting to know you: Getting the opportunity to know you as a person is a very important aspect of the new patient experience, before directing our efforts towards your dental needs. I believe in our office that we treat people and not just teeth. It is also a time for you to get to know us as individuals, which is the first phase of developing trust in who we are and what we do. The Dental History: Many of our expectations in life can be based on past experiences whether positive or negative. Our goal is to have an understanding of your feelings on dental treatment and how the past has influenced your dental condition both emotionally and physically. How do your rate your present condition?, what are your expectations of treatment?, how do you feel about esthetics?, what are your financial concerns? These along with other questions will help us understand your feelings about dental treatment for you. Getting to know your teeth: This part of the initial exam can be described as a co-discovery of your present dental condition. During the soft tissue cancer evaluation and periodontal exam I examine for abnormalities that need to be addressed. The muscle and joint exam will be the initial phase of looking at the functional component of your mouth. Finally, I will look at the condition of your teeth from both a functional and caries point of view to see if there are any specific needs for treatment. Study Models: Frequently, I take study models on our new patients who either have major restorative needs, esthetic concerns, or functional issues. By mounting these models on a artificial jaw called an articulator, I can look from all angles to see how your mouth functions as a system. It is very important not to think about dentistry as a commodity based form of treatment (i.e. tooth by tooth) as the mouth works as one unit and not as individual teeth. Intraoral Photographs: On all of our new patients, I take a series of intraoral photographs that have several purposes. Initially, it gives us a “snapshot in time” of where you are now. These photographs are digitally stored and often used as a reference point to evaluate for comparisons to determine if there have been changes in the condition of your teeth over time. Secondly, they are studied and used as a tool to help develop your treatment plan. And finally, the photographs are indispensable in educating you on your specific conditions and needs at the consultation appointment. In many ways photographs are the most important diagnostic tool I have. Dental Radiographs: A complete series of radiographs are taken for diagnostic purposes. Although, I may use radiographs you have had taken in the past, the age and quality of these radiographs strongly influences whether we need to supplement them with our own. IT IS IMPERATIVE THAT PREVIOUS RADIOGRAPHS ARE BROUGHT TO THE INITIAL EXAM IF YOU WOULD LIKE TO AVOID HAVING NEW RADIOGRAPHS TAKEN.